1). This is the Block M, no border. 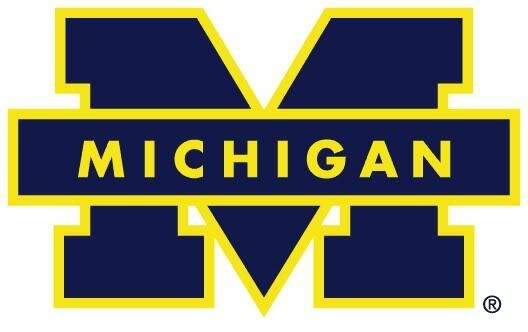 According to recent reports, this is the new, preferred, Michigan logo. 3). 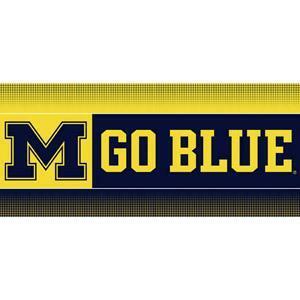 This is the MGoBlue banner variation, which is actually much older than I thought. It goes back at least to the Canham days. 4). 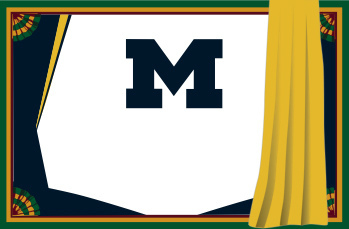 This is a mock-up of the reverse side of a Michigan Marching Band uniform (complete with cape), as you can see it is the straight Block M, but in navy. 5). Apologies for not being larger, but this is the classic "Wolverine Access" logo from the 1990s and it's the Wolverine over the Block M. One of my all-time favorites. A better view here at the Michigan Ticket Museum. 6). This is a variant I had never seen before the banner shown above. 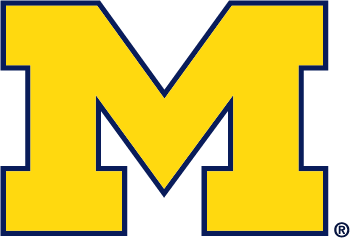 It alleges it is from circa 1979-80 and combines the Split M (as seen below) with the wolverine logo. 7). This is the Split M version of the logo used in the 1990s. It was scanned from my 1996 student tickets. Note the yellow outline around each of the five parts of the M.
8). This is the 1990s style Split M, rendered primarily in Navy. What's funny is that this logo is primarily found at Chris Creamer's Logo Board, but not in any of my Michigan publications that I can find. 9). This is the Split M logo, primarily rendered in maize. 10). This is the currently used split M, introduced sometime during the 2000s. 11). This is the awesomely retro/vintage "Wolverbear". 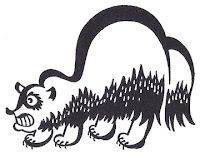 It was very common in the 1930s-1950s to have a cartoonish version of one's mascot, complete with sailor hat. 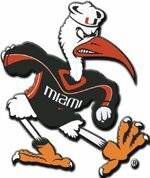 This tradition continues today with Sebastian the Ibis at The U. 12). This is a Wolverine logo from the 1938 Michigan season ticket order form that I found in the Michigan Football Vault. What really hurts me is that the Heritage logos banner seen above is largely incorrect. The Split M seen there was not used until around 2000. The wolverine sitting on the Split M is a logo that I have only seen on the banner and on Chris Creamer's board. The Wolverbear needs to show up a lot more. If anyone else has any other variants of the Michigan logo that I missed, please let me know in the comments. Enjoy! is that... COMIC SANS on your banner?! Yes Lindsay, I will admit it, that is comic sans. It was a gift, not a whole lot you can do in that regard. I die a little inside when I see the font. i just can't believe such a sharp looking banner would use such silly typography. Interesting article. Definitely enjoyed it. 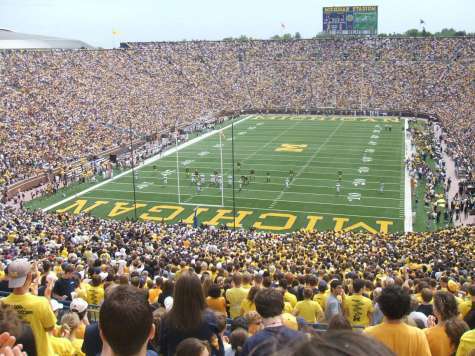 I wish UM would go back to the "deeper" maize of the 80s and 90s. The flourescent look now is not for me. I have a hat with Wolverbear on it and it's awesome. They definitely need to work that back in. Not that it makes much of a difference, but the 2008 Citrus Bowl picture you have linked is actually the 2007 Rose Bowl, fwiw.